Perry Beeches SSS Swimming Club is committed to the welfare of all swimmers and children as detailed in our child protection policy. Safeguarding children should be an integral part of all club activities, so that we can create a culture that provides a safe, happy and fun environment in which children can learn to swim and develop to a level appropriate for their ability. The purpose of these pages are to set out guidance and procedures that outline the responsibilities of staff, swimmers, parents who are members of or associated to those within Beeches Swimming Club. Our Welfare Officer is Karen Westwood who can be contacted at any time to talk to or ask for help. The club holds SwimMark Accreditation, which we have held since 2010. This is Swim England’s ‘quality mark’. It recognises nationally and regionally the clubs that are committed to providing safe, effective and quality services for the benefit of their members. It is also Swim England’s Club Development model – a planning tool, based on the principles of Long Term Athlete Development, enabling clubs to help athletes, teachers, coaches and administrators to achieve their full potential. It focuses particularly on the needs of athletes – striving to provide them with the best possible support and environment. As part of providing a safe environment, as well as welfare which is covered in the next section, we expect all swimmers, parents and members to be know about and agree to the club’s codes of conduct. This policy runs in accordance with the overall Code of Conduct, available on our website it should be read by every swimmer and signed by swimmers and/or parents (or those with parental responsibility). Beeches Swimming Club fully endorses and operates in accordance with Swim England Child Protection Policy (Wavepower) and Swim England’s Code of Ethics, details of which can be found on the Swim England website or by speaking with the Club Welfare Officer (details below). Beeches Swimming Club has adopted and implemented the Swim England Child Safeguarding Policy and Procedures. These are laid out in the Swim England’s Wavepower 2012/15 manual. Wavepower is about safeguarding children and young people in line with current legislation and guidance. Perry Beeches SSS Swimming Club complies with the Swim England Child Protection Policy and Procedures. National Standards have been developed by the NSPCC that aim to promote best practice so that a safe environment for children and young people is achieved. Perry Beeches SSS Swimming Club believe that the welfare of the children is everyone’s responsibility, particularly when it comes to protecting children from abuse. Everyone involved in swimming at the club – administrators, club officials, coaches, teachers, parents, friends, children themselves – can help. Abuse can occur anywhere there are children – at home, school, in the park, at the club. Sadly, there are some people who will seek to be where children are, simply in order to abuse them. We believe that everyone in the Swim England/Swimming Club has a part to play in looking after the children with whom we are working. This is both a moral and arguably a legal obligation. All children, regardless of age, disability, gender, racial origin, religious belief and sexual identity have a right to be protected from abuse. 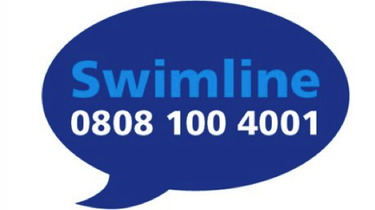 If you would rather talk to someone outside the club, Swim England in association with NSPCC (National Society for the Prevention of Cruelty to Children) runs a confidential free help line. This is for anyone involved in swimming, adults or children, who believe that the welfare of someone under the age of 18 is at risk. This concern could be neglect, abuse, bullying or fear of someone or anything that is worrying you and you don’t know who to discuss it with.